Sales rose 2 percent in October to a seasonally adjusted annual rate of 5.48 million, the National Association of Realtors said Tuesday. That’s the fastest pace since June. Still, sales have slipped 0.9 percent from a year ago. The number of available homes has fallen 10.4 percent from a year earlier to just 1.8 million. That’s the lowest for any October since the Realtors began tracking the data in 1999. The tight supply is pushing up prices and thwarting many would-be home buyers. The median home price jumped 5.5 percent in October from a year earlier. And homes were on the market for just 34 days, down from 41 a year ago. Buyers closed more deals in Houston, Orlando and Jacksonville, Florida, as well as other areas damaged by Hurricanes Harvey and Irma, NAR chief economist Lawrence Yun said. 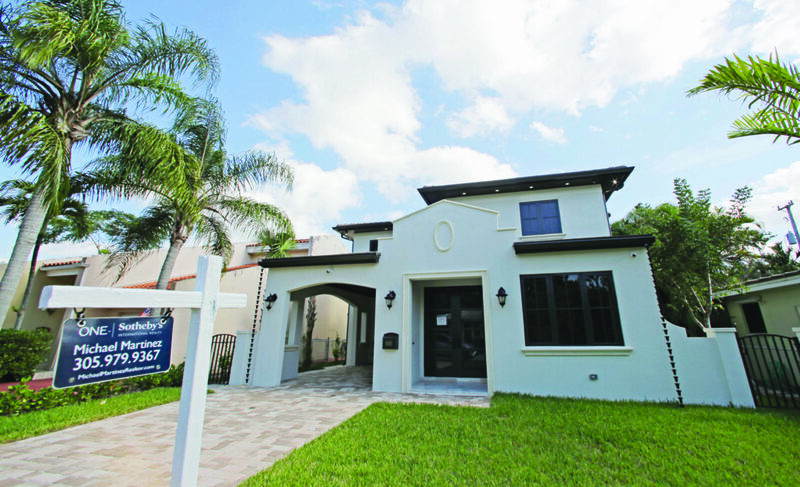 Sales were still recovering in Miami and other areas in south Florida. Home construction jumped nearly 14 percent last month as building activity recovered from the hurricanes. But construction rose just 2.4 percent from a year ago. That’s not nearly enough to offset the decline in existing homes for sale. With the unemployment rate at a 17-year low, builders complain that they can’t find enough workers to start more projects. Many also say that zoning rules in some cities limit the amount of available land.